SYDNEY, 15 March 2017 – The latest Mastercard Digital Purchasing Survey reveals that Australian consumers are continuously embracing digital payment technology, with more than four in five (82 percent) Australians using tap and go to make payments every week. In fact, over one third (33 percent) of Australians have been annoyed when a store didn’t offer tap and go, and one in ten have even gone as far as avoiding a store that they knew didn’t offer it. 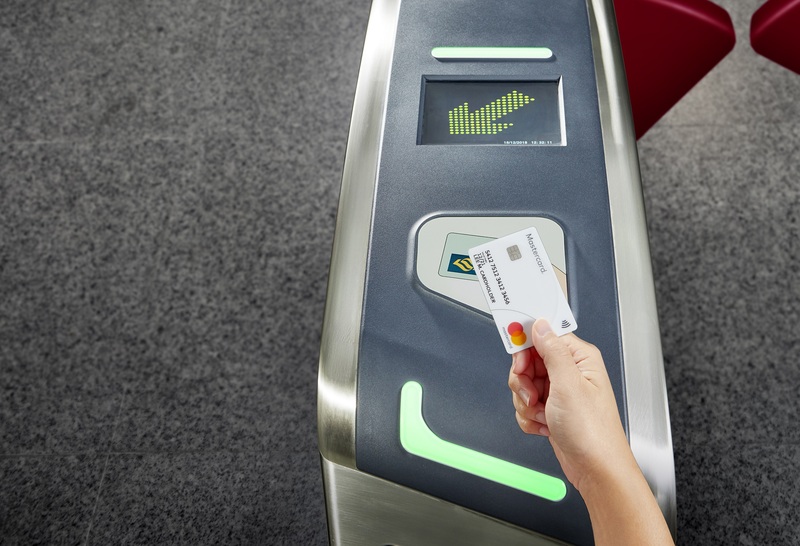 Australians are most frequently using contactless cards at supermarkets (54 percent), general retail stores (22 percent) and petrol stations (11 percent). Consumers are also becoming more aware of the benefits of contactless in security terms, with contactless card payments offering the same level of protection as chip and pin payments. In fact, Mastercard’s Zero Liability on card payments means that contactless is also safer than carrying cash, which could be lost or stolen. The increase in confidence in the security of contactless as a method of payment is demonstrated in the research findings, which show 64 percent of Australians are now ‘not very’ concerned about security when using contactless, up from 46 percent in 2014. While tap and go becomes ubiquitous, survey findings indicate that mobile payments remain a growth area in Australia, with only one quarter (26 percent) of Australian consumers responding that they are aware of having contactless payment options on their mobile phone. Of those that are not aware of having a contactless option on their phone, 36 percent say that they would consider using it and over half (54 percent) of all Australians wish they knew more about digital wallet technology – an attitude that represents a positive trend towards adoption. Globally, Mastercard is shaping the digital future by creating new and secure ways for consumers to pay across all channels and devices – from digital wallets to tokenization to new solutions in safety and security. More than four in five (82%) Australians are using tap and go / contactless every week. The benefits of tap and go / contactless continue to be clearly perceived as convenience and time saving. One third (33%) of Australians have been annoyed at some time that a store hasn’t offered tap and go / contactless technology. One in ten (11%) Australians have at some occasion avoided a store that didn’t offer tap and go / contactless. Two in three (71%) Australians say that businesses that do offer contactless / tap and go technology are making it easier for their customers (up from 62% in December 2015). Almost half (43 %) of Australians are looking for a better and more enhanced shopping experience. Concern about using contactless transactions at shops and petrol stations continues to recede. The majority (64%) of Australians are now ‘not very concerned’ about security when using tap and go / contactless (compared to 58% in December 2015 and 46% in 2014). One quarter (26%) of Australians are aware of having contactless payment options on their mobile phone. This study was conducted online during December 2016 using a sample of 1,000 Australians aged between 18-64 years old across Australia. Age, gender and area quotas were applied to the sample. Mastercard (NYSE: MA), www.mastercard.com, is a technology company in the global payments industry. We operate the world’s fastest payments processing network, connecting consumers, financial institutions, merchants, governments and businesses in more than 210 countries and territories. Mastercard products and solutions make everyday commerce activities – such as shopping, traveling, running a business and managing finances – easier, more secure and more efficient for everyone. Follow us on Twitter @MastercardAU, join the discussion on the Beyond the Transaction Blog and subscribe for the latest news on the Engagement Bureau.